Our Magnets are developed in various sizes and are used for the separation of metallic impurities from the raw material. 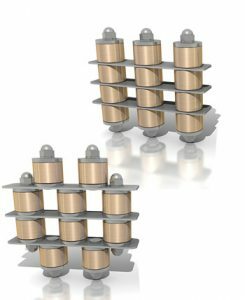 “Grids are built with ferrite cores, are designed to be installed directly into the hopper and do not require machining for assembly. Produced in round, square and rectangular shape, on request in all sizes. Also available in custom version “multifloor”. The Magnetic Boxes are robust devices to be installed downstream of the process and allow the application of hopper loaders, colouring or drying equipment. The cores are made from ferrite and they are available in two models: with or without a movable partition. 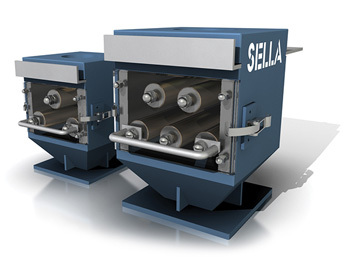 The model with movable partition allows a simple and periodic cleaning of the magnet.